The Holy Synod of the Albanian Orthodox Church released a statement on Saturday regarding an incident that occurred the today before with an Orthodox church in the southern Albanian village of Labovë. As the hierarchs learned only through a Facebook post, the Albanian Ministry of Culture gave the famous Dormition Church over to a group of Catholic priests and clergy for the celebration of a Catholic mass. “With amazement and regret, we saw on the site of the Institute of Cultural Monuments, on Facebook, three Catholic priests from Italy, together with a group of Italian tourists, celebrating the ‘first mass’ at the Orthodox church in Labovë, a famous Byzantine monument,” the statement reads. The village’s Dormition Church, the foundation of which dates back to 6th century, when Emperor St. Justinian erected the church in memory of his mother, is one of the most representative examples of Byzantine architecture in Albania. The current building dates to either the 10th or 13th century. Restoration work is currently underway on the church. The event was attended by Institute of Cultural Monuments Arta Dollani and others. “Such irresponsible initiatives are an open violation of religious freedom and violate the peaceful coexistence of religious communities in Albania,” the Synod laments. Attacks on Orthodox churches have become common practice in modern Albania. In a number of cases, the confiscation of valuables and the destruction of holy sites have been carried out by the state itself. In August 2013, hired government thugs attacked an Orthodox Church in the southern Albanian town of Përmet, smashing icons and crosses and beating up worshipers. In early 2015, the government unilaterally decided to destroy the fencing around the Tirana Cathedral of the Resurrection of Christ. 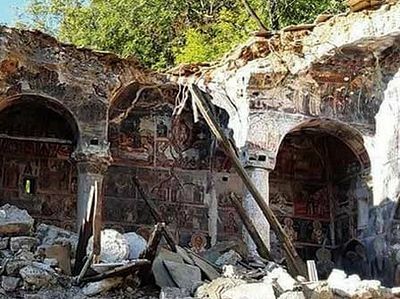 Another church of St. Athanasius, in the southern Albanian town of Dhërmi, suffered two incidences of vandalism in late August, 2015, which the local media attempted to justify. A few days later the church was again attacked, this time being completely destroyed. The Monastery of St. Athanasius in Kato Lenitsa, founded in 1797, has fallen into ruin due to the idleness of authorities, who confiscated the monastic buildings but undertook no measures to restore the landmark. 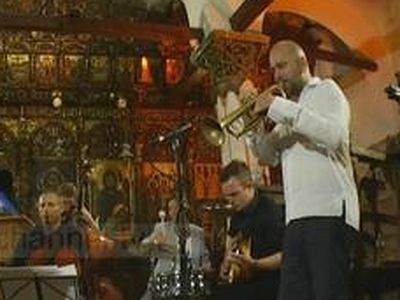 The Church of the Dormition in the village of Berat has also been repeatedly misused, including when a photo shoot was held in 2016, showing young girls advertising wedding dresses on the episcopal throne, and in front of the Royal Doors and iconostasis, and when a jazz band was filmed playing in front of the altar in July of this year. In March 2016, more than 300 clergy and laity gathered and requested that the government return churches, monasteries, and sacred objects and sites confiscated from the Church and profaned. Two churches and four houses were recently attacked by night in the Greek mountain village of Xirovalto in the Pogoni municaplity, near the Greek-Albanian border, 195 miles southwest of Thessaloniki. 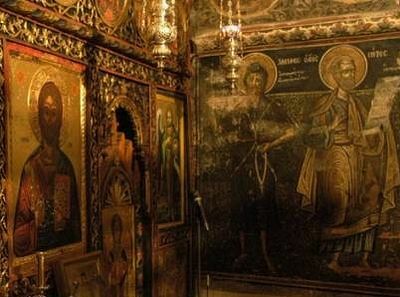 This is what happens when Orthodox Churches are "given" historical and cultural monument status by secular authorities. The consecrated buildings become playgrounds for the "culture" of heretics, and the Orthodox Christians are told to get over it. Expel the papal invaders from orthodox land!! They used the courtyard. Whatever. Get over it. Well, the Roman Catholics had to be aware of the state's attitude toward the Orthodox and they had to know that by using the church for a latin mass the Orthodox would take offence, so one can only conclude that the Latins willingly insulted the Orthodox.